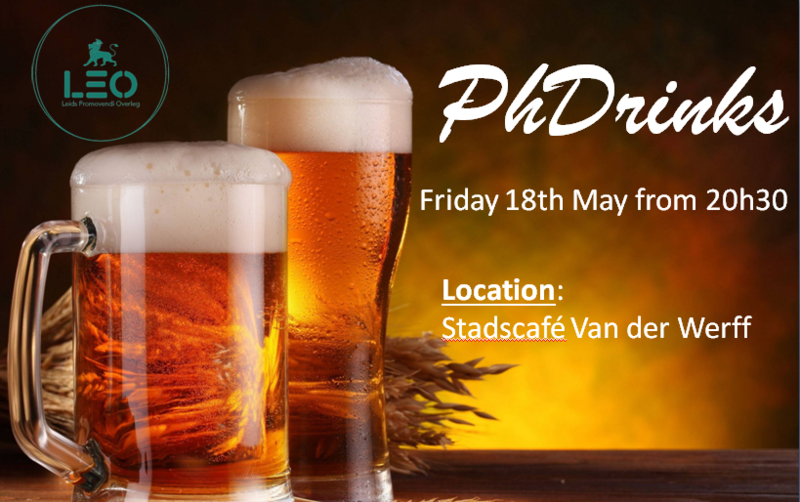 please mark your agenda for our next PhDrinks! This time we are waiting for you at the Stadscafé Van der Werff from 8h30. As always the first round of drinks will be on us! All PhD student of Leiden University are welcome, don’t hesitate to join us to share this moment! I would like to receive updates about the events! If you did and it did not work, let me know and I will add you manually. The next newsletter should arrive beginning of June.